Pulling from Eastern traditions including tantra and yoga, and focusing on the feminine principle of divine energy also known as Shakti, this book bridges the divide between dualistic concepts and non-dual philosophy. By exploring the symbolism of the Mahavidyas (Kali, Tara, Tripurasundari, Bhuvaneshwari, Tripura Bhairavi, Chinnamasta, Dhumavati, Baglamukhi, Matangi, and Kamalatmika)—each with a veiled face representing a destructive quality that perpetuates ignorance and suffering, and a true face representing the wisdom that stimulates profound transformation and liberation—you’ll learn to embrace and incorporate every aspect of who you are. 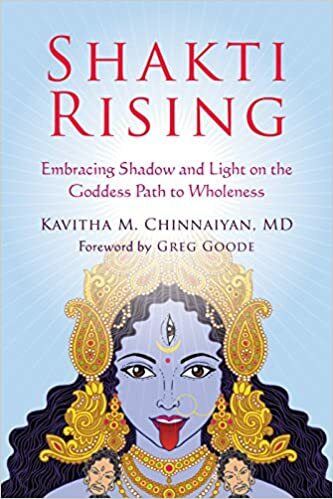 With practices, self-inquiry prompts, and stories from the author’s own spiritual seeking, this exploration of the divine feminine will gently reveal the source of your fear, pain, and suffering, showing you that when you allow those parts of yourself to arise and simply be, you can finally begin to heal, overcome your limitations, and open to the light and beauty of your true nature. 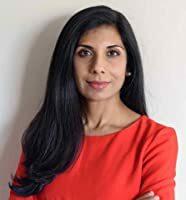 Kavitha Chinnaiyan, M.D. is an integrative cardiologist and advance cardiac imaging specialist. She combines her medical expertise with eastern wisdom to promote wellness and freedom from suffering. She has studied Ayurveda, yoga, Vedanta, the Direct Path and Tantra with teachers across the globe, the elements of which form her various meditation-centered courses. She lives in Michigan with her husband, two daughters and dog.